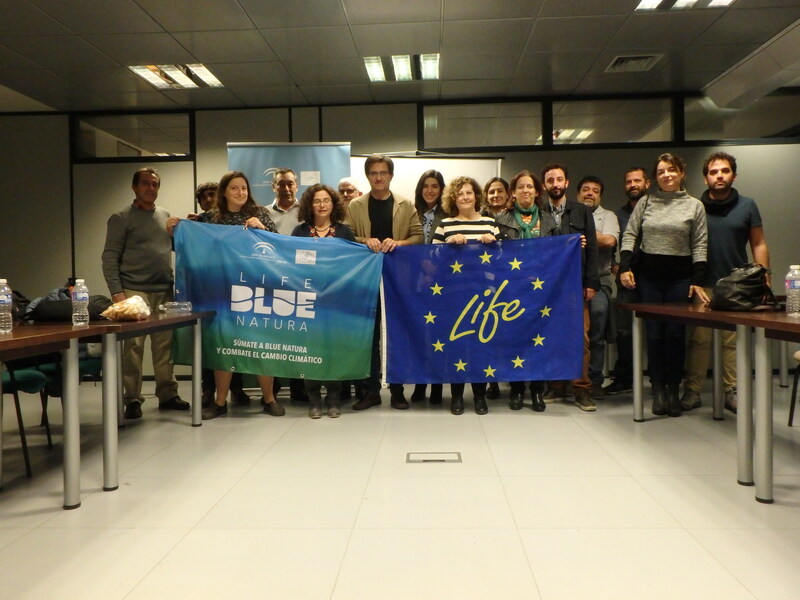 Representatives of the European Commission attend an evaluation meeting of the LIFE Blue Natura Project. 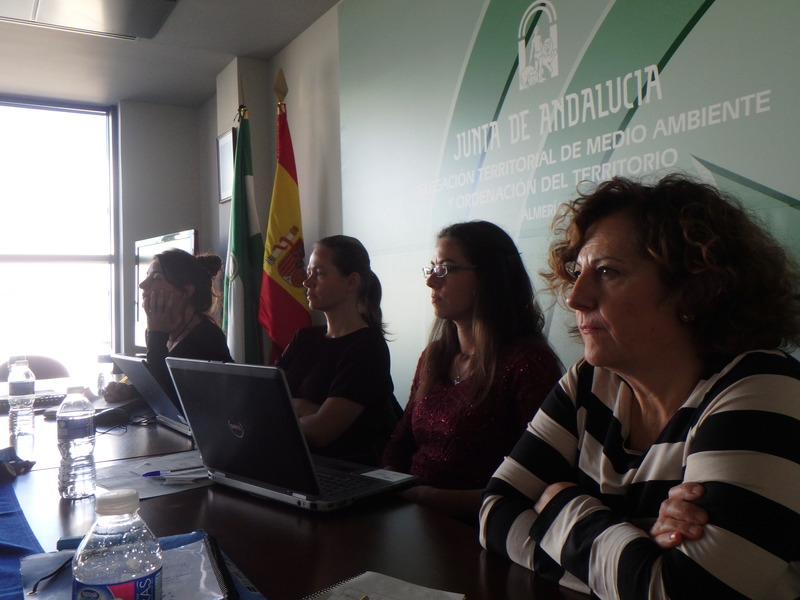 The meeting was held in the Territorial Delegation of the Environment of Almería. 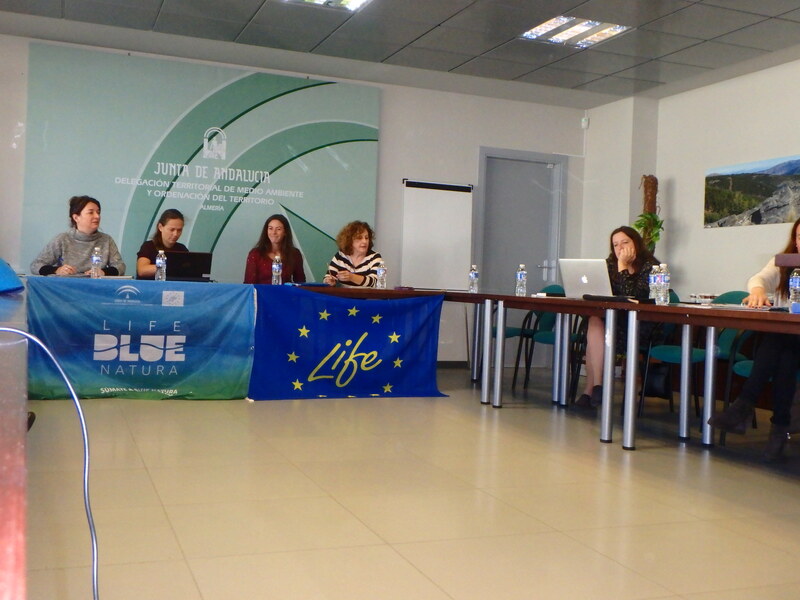 During the morning of Thursday 23 a review of the general status of the project was made, both from the technical and financial point of view and a session was held on the integration of the results of this project into the environmental policies, as well as its replicability and transferability, given the pioneering and innovative nature of the project “Life Blue Natura: Blue Carbon in Andalusia for the mitigation of climate change: Mechanisms of quantification and valuation”. 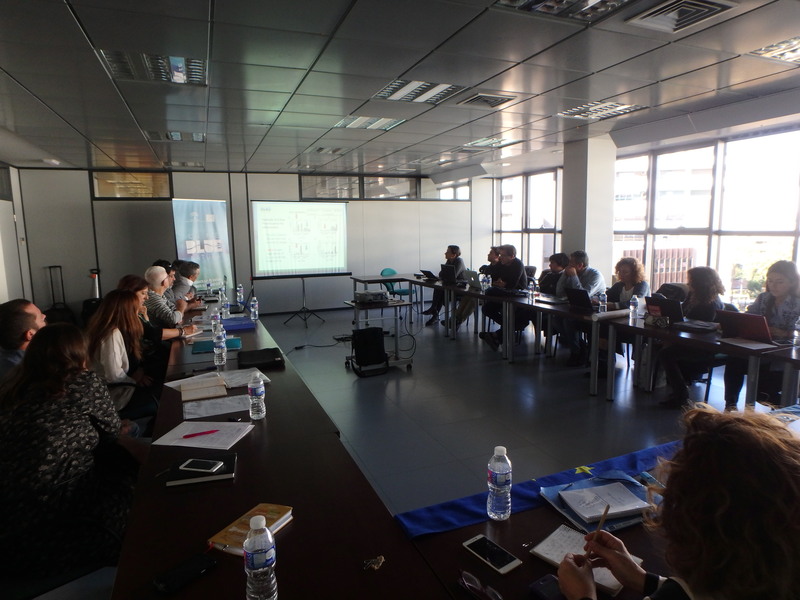 During the afternoon, the partners carried out the 5th commission of project monitoring, addressing the status of the different actions and the classification of the following years of project development, which ends in 2019. 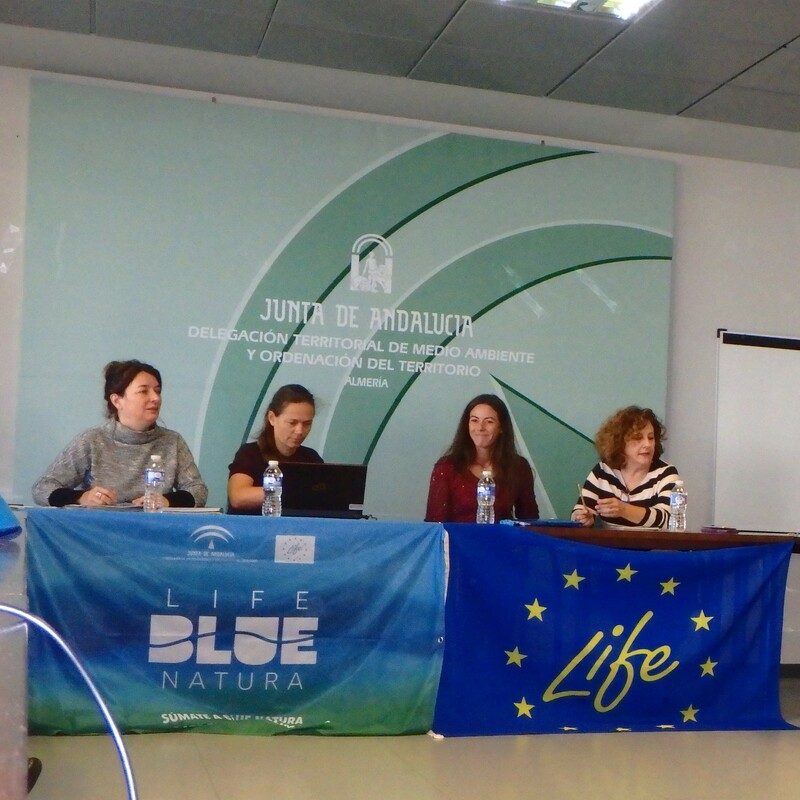 On Friday the 24th the community representatives toured part of the protected coastline of the Cabo de Gata-Níjar NP to recognize, mainly, the sampling points within the Posidonia oceanica meadows. The meeting was attended by EASME, the executive agency of the Commission that manages EU programs, including the LIFE financial program. In addition, the technical and financial managers of each partner of this Life project, of the Climate Action subprogram, were represented.